A bold suit can be one of many things but I’m sure most people would describe one by using the words colorful and loud. A bright red suit is about as bold as you can get but what about for those of us that tend to shy away from color. I’m all about my classic greys and blues but sometimes I need a little more in my life. Sometimes I want to stand out a bit but not in that obnoxious 'red suit’ kind of way. That’s where pattern comes into play. 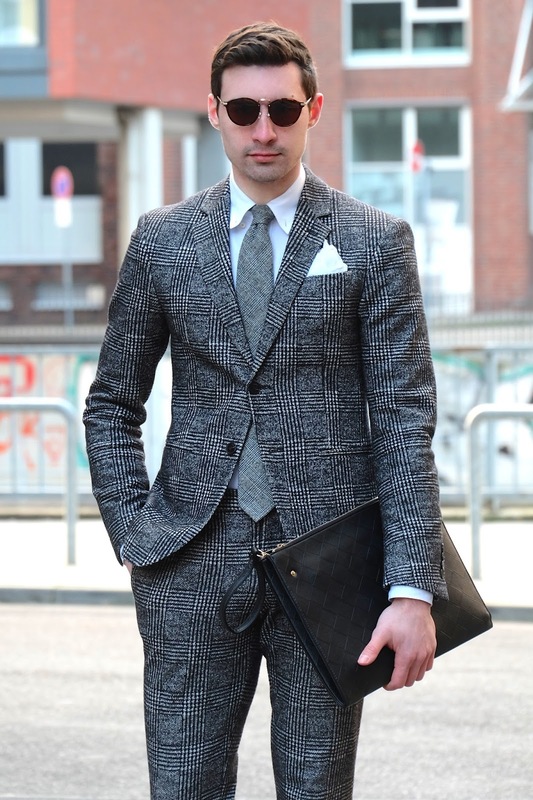 A simple houndstooth check transforms your ordinary grey suit into something special that is quietly begging for attention. Next time you’re looking to stand out try staying away from color and opting for something in a unique pattern. 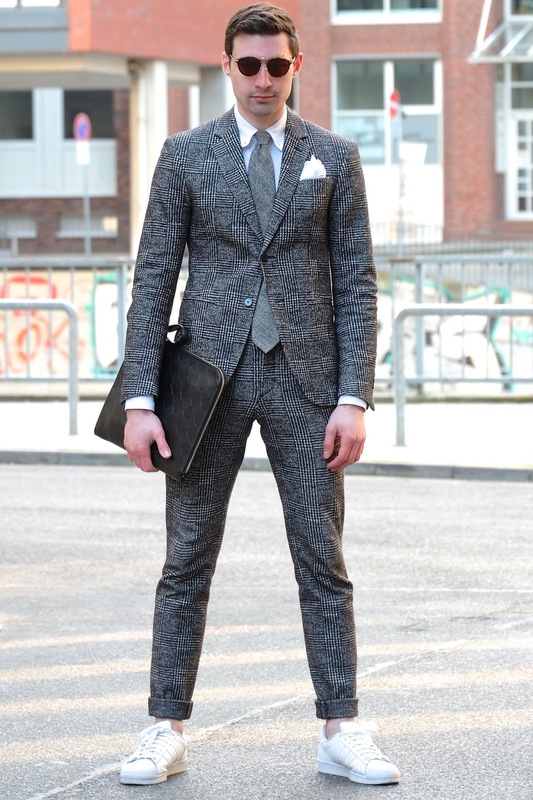 If you ask me, a patterned suit is much more beautiful than any bold colored option out there. 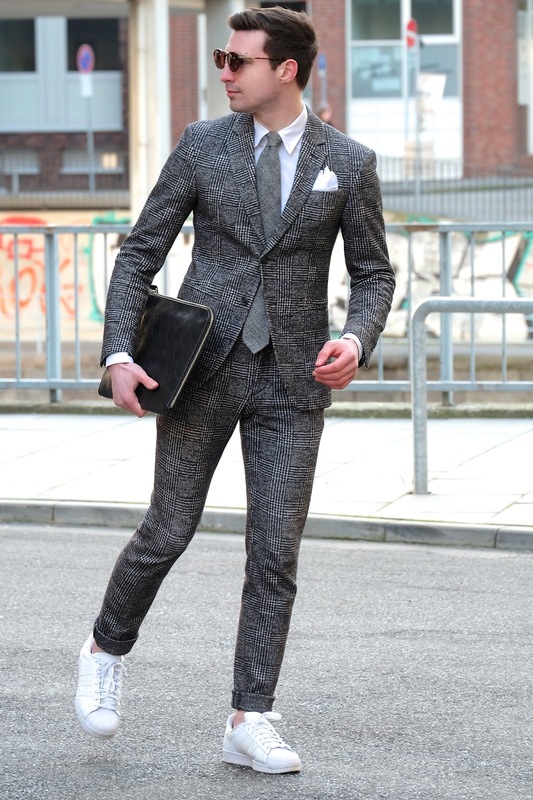 Plus how could you possibly say no to a suit as beautiful as this one. Thanks as always for reading! looking great on that suit as always! I would totally wear this oufit. It's perfect.